What is the Graston Technique ®? 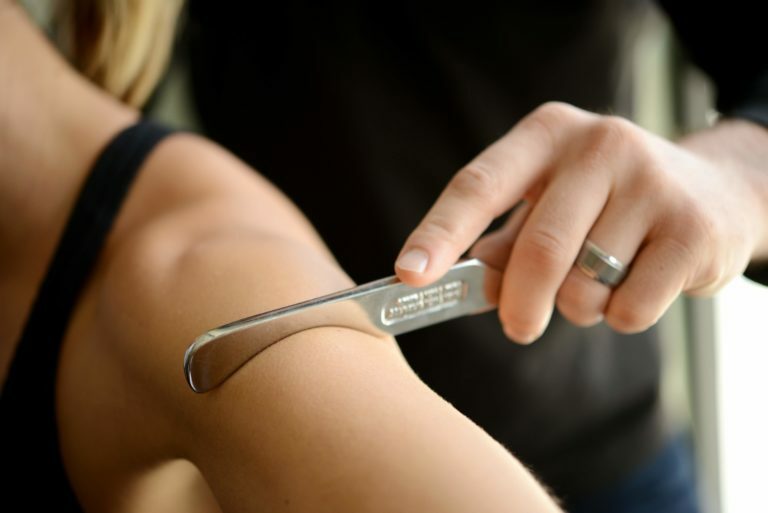 Graston Technique® (GT) is a unique, evidence-based form of instrument-assisted soft tissue mobilization that enables clinicians to effectively and efficiently address soft tissue lesions and fascial restrictions resulting in improved patient outcomes.GT uses specially designed stainless steel instruments with unique treatment edges and angles to deliver an effective means of manual therapy. The use of GT instruments, when combined with appropriate therapeutic exercise, leads to the restoration of pain-free movement and function. The instruments also are used diagnostically to assess the kinetic chain, in an efficient manner using the principles of regional interdependence. Why is Scar tissue bad? Scar tissue limits range of motion due its negative impact on sensory motor firing rates and frequencies. Abnormal sensory inputs perpetuate a dysfunctional cycle of nervous system sensitization, pain and dysfunctional movement/motor output. GT offers a positive method of manual therapy that interrupts and breaks this cycle of pain and dysfunctional movement. How is Graston Technique used? GT instruments are used first to enhance the clinician’s ability to detect soft tissue lesions, scar tissue/fibrosis or restrictions in the affected areas as determined from a comprehensive examination of movement and function. Skilled clinicians use the stainless steel instruments to comb over and “catch” on fibrotic tissue, which immediately identifies the areas of restriction. Once the tissue has been identified, the instruments are then used to address and treat the abnormal tissue. When GT is combined with appropriate therapeutic exercises and activities, pain free function is often restored. What are the potential results incorporating GT into treatment or recovery? Historically, the Graston Technique® has had positive outcomes in 90 percent of all conditions treated in our clinic. It is equally effective in restoring function to acute and chronic injuries, pre- and post-surgical patients and maintaining optimal range of motion. How often is GT treatments? Depending upon the nature of the injury or maintenance program, patients usually receive 1-2 treatments per week during the span of 4-5 weeks. Most patients have a positive response by the 3rd or 4th treatment. The average number of GT sessions per episode of care averages between 6-12 for more chronic conditions. What conditions can be treated with GT? Graston Technique® can be used to treat any movement system dysfunction that has been determined to have a soft tissue component.